Moving can be a hassle. There are a million things to get done and it always seems like a big mountain to climb. 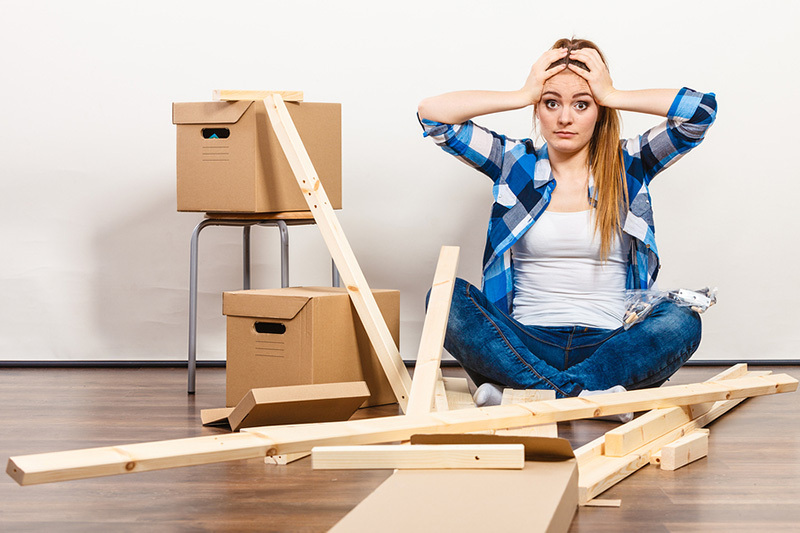 When you need to move in two weeks or less, things get even harder and you will need to move fast. Consider these great tips to help you move quickly when an unexpected move pops up. When you need to move quickly, you need to find a place to stay. You can ask friends in the new area if they have a need for a roommate or look at sites like apartments.com to help you find places to stay. You may have to stay somewhere temporary when you first move so that you can look through the area and find a good place to live in more permanently. Make sure that you have the transportation you need. You will first need a moving truck to get all the stuff out of your place and over to your new location. And if you’re moving from the city to the suburbs, you may have to consider getting yourself a car to get around. Either during or before you pack, go through your things and decide what to keep and what to get rid of or donate. Remember that everything you keep needs to be moved and unpacked later. This should provide some motivation to finally get rid of items that have been hanging around too long. Packing is going to take the most time when you need to move quickly. Having an action plan can make it go so much better. Collect all of your supplies, including tape, packing boxes, and something to label with so you can find items later. You can even prioritize your packing based on the room or how much you use the item. Stack up the boxes in an empty space until it is time to load them up. After spending all day moving your stuff into your new place, you will not want to look through boxes to find the stuff you need just to go to bed. This box should be full of the stuff that you will need for at least the first night, so you can get comfortable and deal with the other boxes later. Make sure to include some toiletries, pajamas, toilet paper, a change of clothes, and anything else that you would need that first night or two. Since you are so limited on time, and probably exhausted from all of that packing, why not consider hiring a mover. This can help to get your stuff from Point A to Point B faster, and can save you having to do all the work. Make sure to look at reviews online to see who is the best mover in your area, and who can offer you the best deals. We might be biased but check out New City Moving! Give us a call today at 800-733-6644. Moving in two weeks can be done, but sometimes it seems like you will have to skip out on sleep to see success. Follow some of these easy strategies and you will be able to get yourself moved in no time.